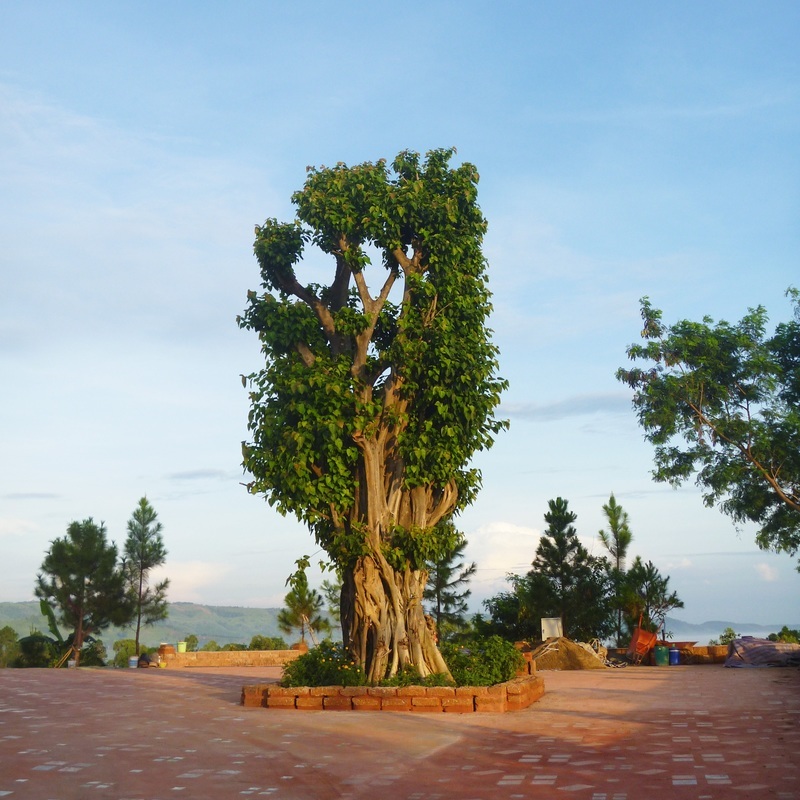 ​In February of the year 2017, Anandagiri Forest Monastery initiated a very auspicious new 'Chedi Building Project.' 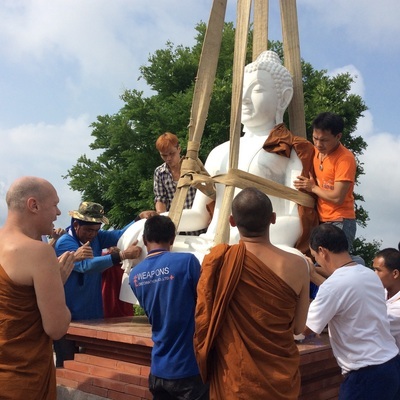 The Chedi will take three years to complete and will eventually stand 20 metres tall. 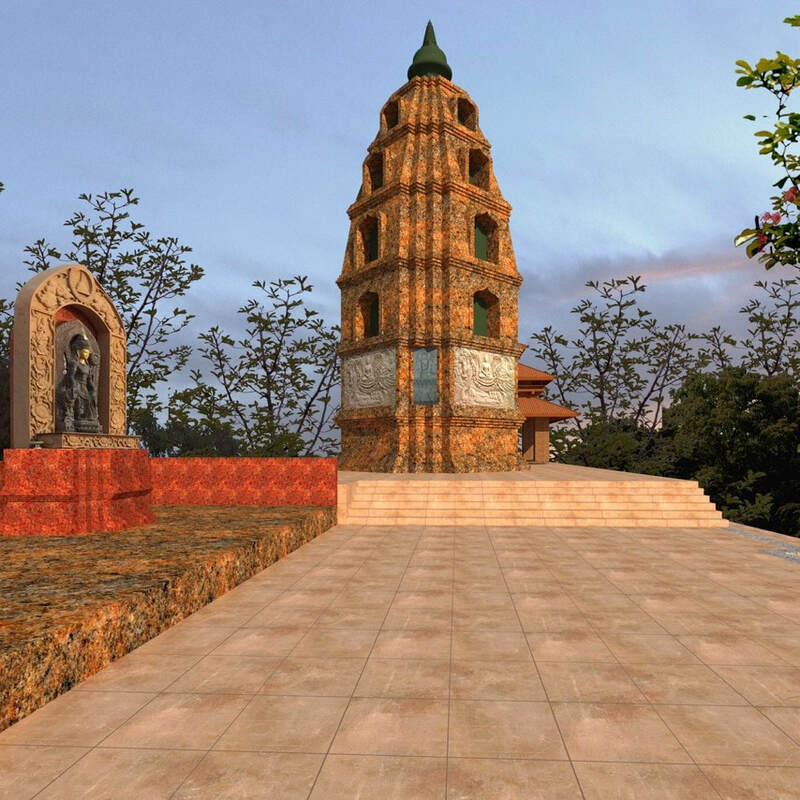 Buddha and Arahant Relics and many blessed articles will be enshrined within and the Chedi will be ornamented with 20 beautiful Buddha images carved from stone. To learn more about the fascinating 'multi-dimensional' project, why we are building it and what we expect the benefits to be, feel free to read the article. 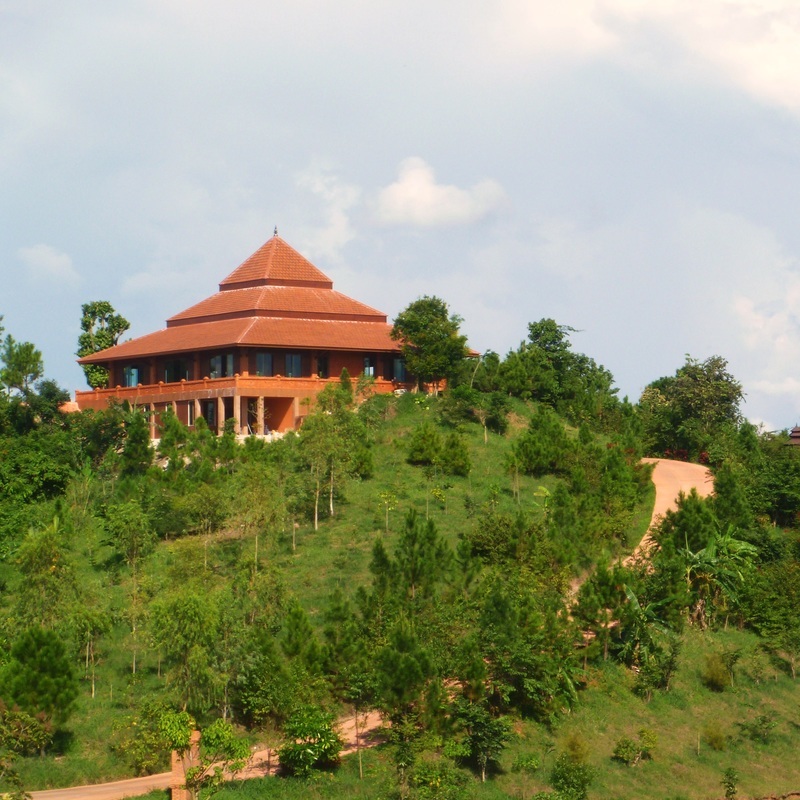 Anandagiri was envisioned by Ajahn Achalo to be a small to medium sized community of dedicated long-term monastics, rather than a large training monastery. A place where monastics can be in semi-retreat mode most of the time, rather than having busier periods punctuated by intensive retreats. Along with a few long-term committed residents a good number of senior monks from various Ajahn Chah branch monasteries have spent periods on retreat here. Several 8 precept nuns also frequently stay and practice here as well. In establishing and sustaining this more spacious context, the resident teachers are then able to spend some of their time preparing or editing quality teachings to be made available free of charge to a diverse global audience, predominantly via the internet. Ajahn Achalo usually teaches one intensive retreat overseas each year, and leads a practice based pilgrimage to India every two years. Otherwise most of the time he is resident at Anandagiri. Day guests can meet with and have discussions with the monks and/or 8 precept nuns after the meal offering each day. Feeling that a close 'grass roots' connection to the local people is very important, Anandagiri monastery does not have a kitchen and the monks keep the practice of going for almsround to the local village very strictly. Monastery supporters also join in offering scholarships to a growing number of under privileged local rural children. Ajahn Achalo along with the resident monastics, the monastery committee and a kind and generous group of supporters, have gone to a great deal of effort to develop spaces in which the local people and other day guests can come to meditate quietly, surrounded by a beautiful and supportive natural environment. 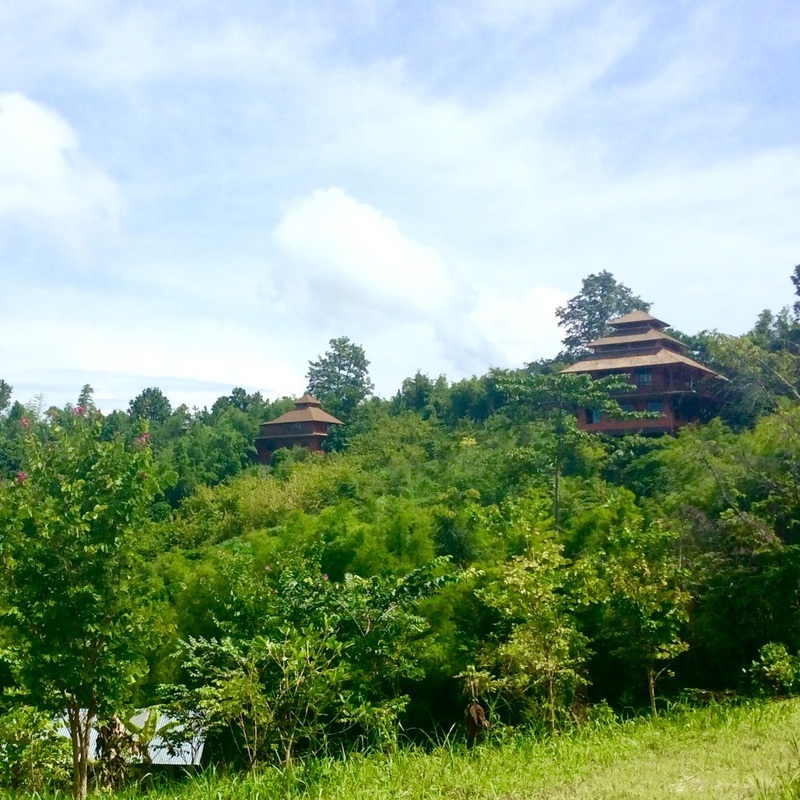 A large meditation hall was completed in 2015 and 27,000 trees have now been planted on the 70 or so acres of surrounding land. 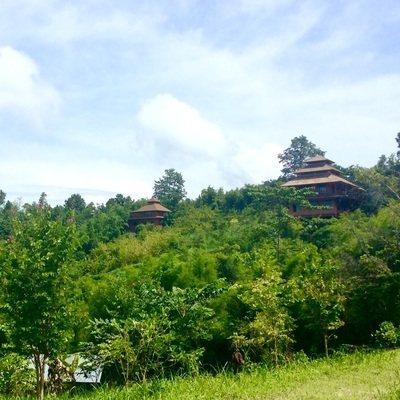 As the mountainous area of Petchabun province has good soil, lots or warm sunshine and plentiful rain the trees are quickly becoming a forest. The slideshows below give a closer look at the project and the people, and illustrate a beautiful story of generosity, harmony, cooperation and joy… alongside quiet contemplation. Listen to an interview with Ajahn Achalo about the origins of the monastery, the particular aesthetic developed there and also how they came to have such a lovely new Dhamma Hall and Buddha statue.